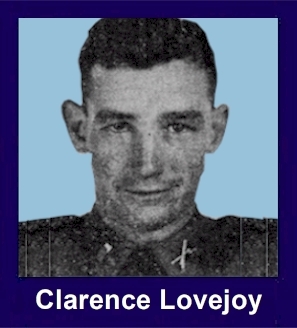 The 35th Infantry Regiment Association salutes our fallen brother, 2LT Clarence C. Lovejoy, O-442274, who died in the service of his country on January 27th, 1943 in Guadalcanal. The cause of death was listed as KIA. He was from Dade City, Florida. The decorations earned by 2LT Clarence C. Lovejoy include: the Combat Infantryman Badge, the Bronze Star, the Purple Heart, the Asiatic-Pacific Service Medal, and the World War II Victory Medal. Clarence is buried in the Punchbowl in Honolulu.Plot C, Row O, Grave 235. Clarence attended the University of Tampa 1940-42.